According to a press release, Apple is collaborating with 10 other suppliers to jointly invest $300 million over the next four years in China in order to ramp up clean energy within the country. “The China Clean Energy Fund” is expected to be responsible for generating more than 1 gigawatt of renewable energy in the country, enough to power 1 million homes. 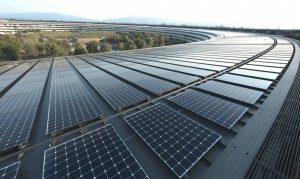 By 2020, the initiative aims to generate more than 4 gigawatts of clean energy in China, and marks the latest step in Apple’s commitment to going green worldwide.